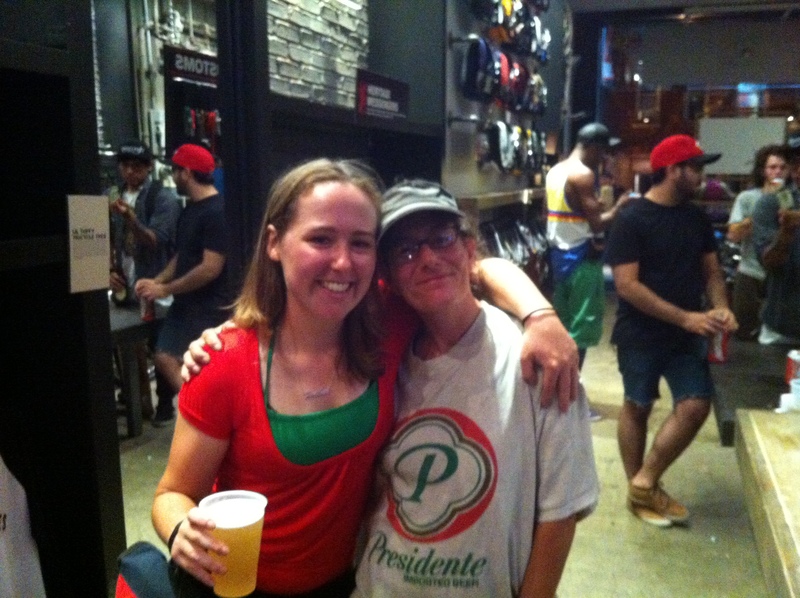 We had an awesome time at the Chrome store on Thursday night for the finale of the viewing parties. It was a huge turnout and a perfect venue for the party. 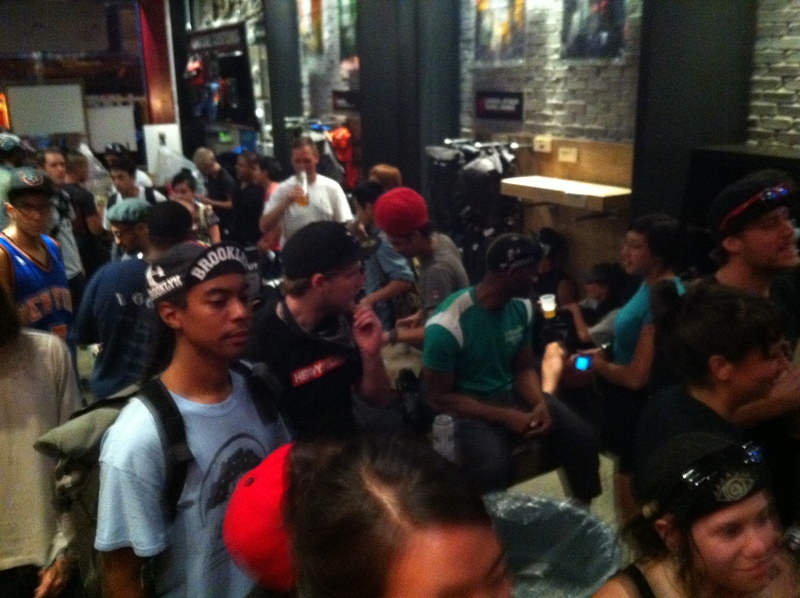 Thank you to everyone at Chrome for opening your store to us! You guys are the best! 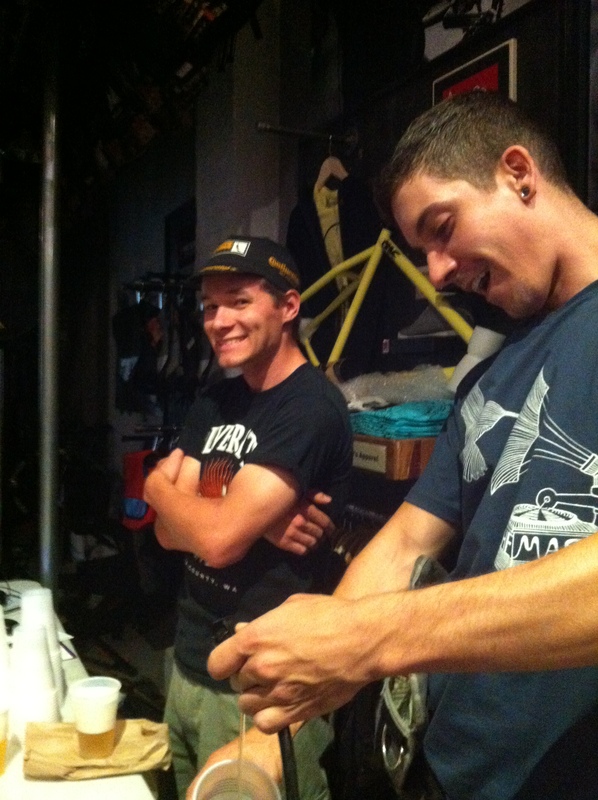 Thanks to Josh and Mark from Pink Rhino for being super bartenders and helping to manage the Goldsprints sign ups! 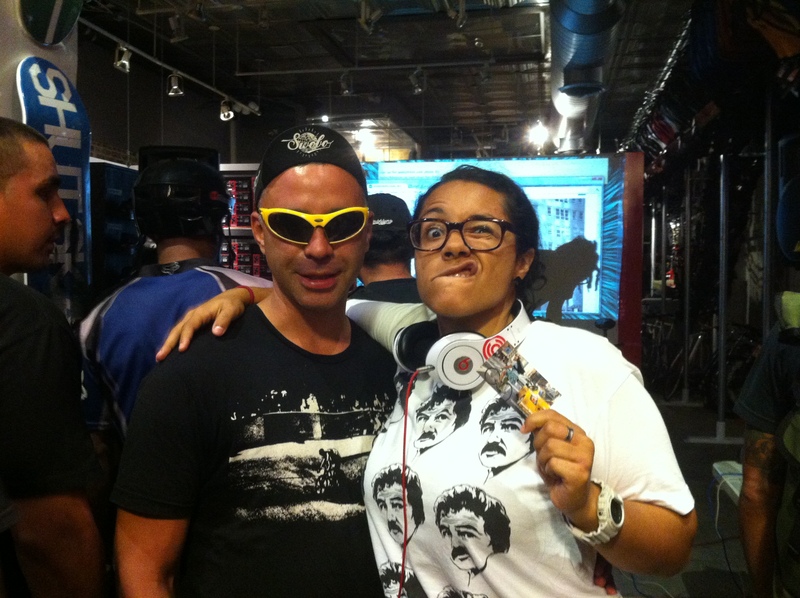 Thank you Victor for running the Goldsprints for the night! 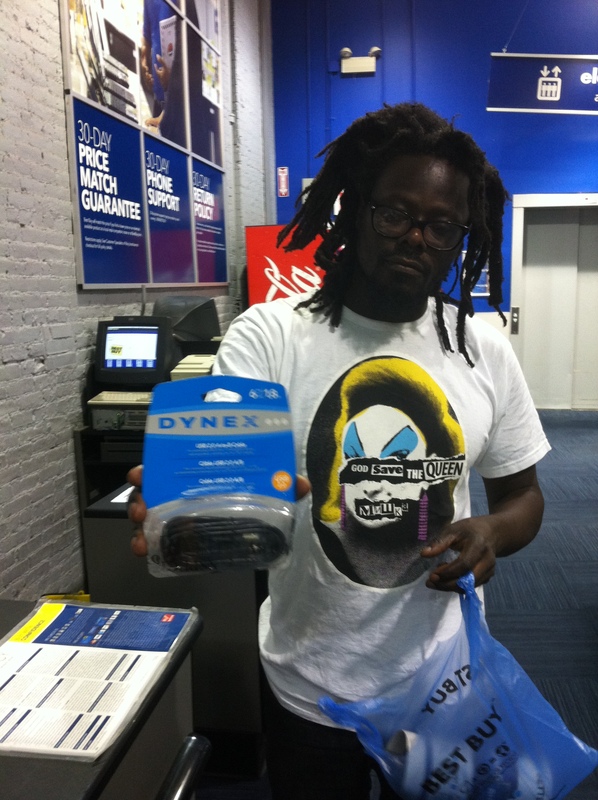 We had to make a quick run to BestBuy for a cord but everything ran smoothly! 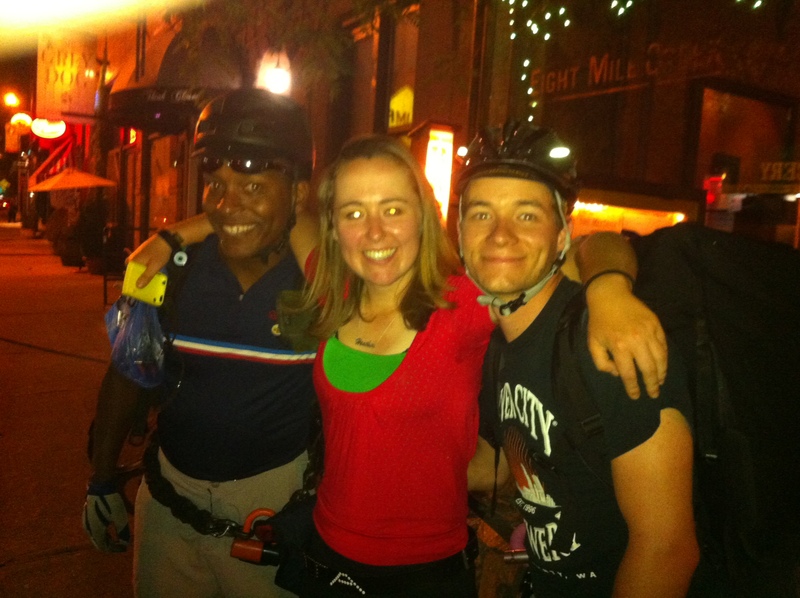 We raised money for Mason, a messenger who was recently injured. Jennie-Jo came out to party with everyone. Thanks to Carlos for helping with all the tech details for these parties and for making the original flyer! 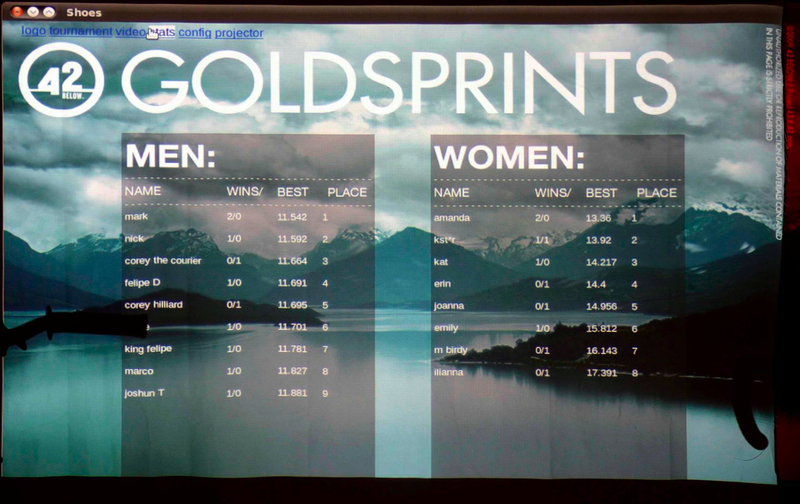 Congratulations to Mark Wagner and Amanda for winning the Goldsprints. Mark won the G.O.A.T. frame and gave it to Corey. Can’t wait to see you on that bike, Corey! The best part of the evening for me had to be seeing my two favorite Colombianos in the same city! Thanks everyone for coming out to these parties and making them a success! « MessQueen New York prizes for tomorrow night!